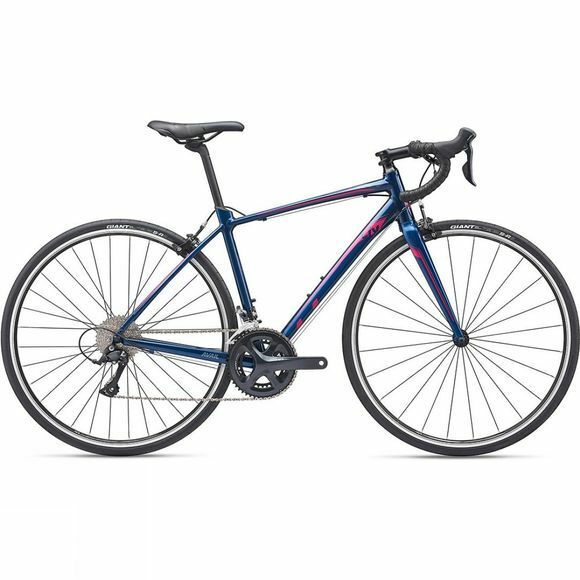 The Avail 1 2019 is Liv's endurance road bike created to be light and comfortable. This bike is ideal for aspiring riders who want to cover miles with ease without having to break the bank. A well-balanced women’s-specific design creates a bike with stability across the bends in the road, efficient power transfer and ultimate comfort, even on longer rides. Liv's “D” shaped composite seatpost dampens vibration which results in a smooth, compliant ride. Shimano Sora components paired with some powerful Tektro calliper brakes, which are both excellent value for money, make sure that shifting is crisp and versatile. To top it off, it features elegant, modern finishes, so you can stay in the lead with style.